Jesus Christian Centre (JCC) pastor Reverend Kathy Kiuna has prophesied a year of open heaven as Kenyans continue to express optimism for the new year. 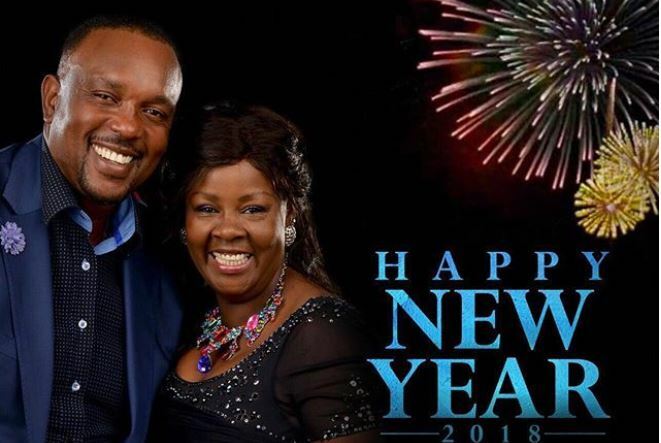 The Reverend and her husband, Bishop Allan Kiuna, ushered the New Year in a ‘CrossOver Service’ at JCC Parklands on New Year’s Eve. Kathy Kiuna delivered a powerful sermon to her loyal congregants about 2018 being the year of open heavens. In her sermon, Kiuna, who received backlash a few weeks ago for promising cars- that congregants never got- before the end of December, prophesied blessings for her congregants before the end of March. She added that the remaining nine months would be months of thanksgiving. “This is our year of OPEN HEAVEN. May you be a partaker of every promise of God in Jesus Name. May you recover all that the enemy has stolen from you. With God on your side, you will not fail,” said Kathy. Kathy also spared some words of encouragement for her Instagram followers wishing them an amazing 2018. “You need to know who you are so much so that whoever says whatever they want does not affect what you already know. If you get your validation from God, nothing will move you,” wrote Kathy.